Watch Modern Family Season 9 Episode 17 online via TV Fanatic with over 5 options to watch the Modern Family S9E17 full episode. Affiliates with free and paid streaming include Amazon, iTunes, Vudu, Hulu Plus, and Verizon On Demand. 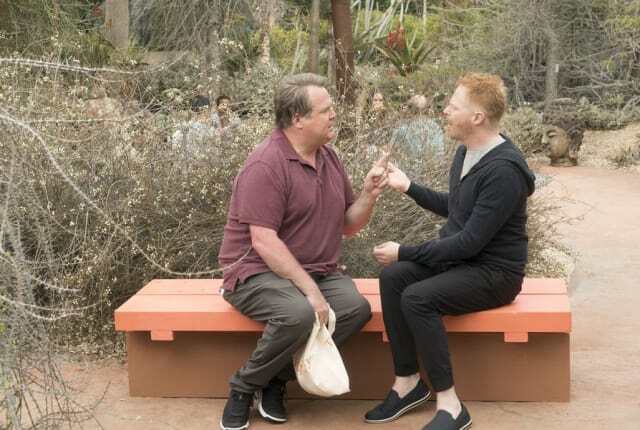 On Modern Family Season 9 Episode 17, Alex feels self-conscious and Phil and Claire try to prove who is smarter when Haley brings home her brilliant boyfriend.